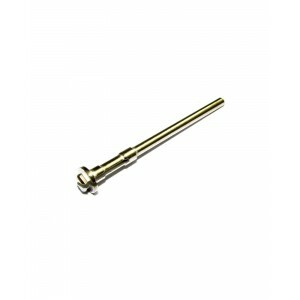 Mandrel ( 12.2 mm long ) with a screw top that expands to hold the abrasive bands. Shank is 2.34mm.&.. Parallel split pin/mandrel. This is used with either wet & dry, emery paper of emery cloth. To h..
Press On / Flip Off Mandrel ( 2.34 mm ). High quality Stainless Steel. ..
Tapered split pin/mandrel. This is used with either wet & dry, emery paper of emery cloth. To he..